Use High.St to find shops and businesses on Britain's High Streets and in the town centres (mostly Scotland but growing!). Enjoy browsing through our comprehensive site to locate a shop or a business. Find a restaurant or a hairdresser or someone who can provide you with that special item. 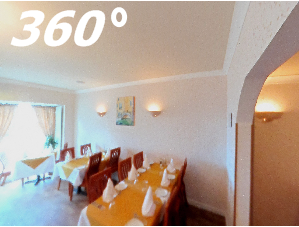 Some places have an online brochure to look through or a 360 degree panorama of their shop or restaurant. Planning a holiday? Then visit our visitor and local community information pages for local tourist attractions and events coming up in the area. Chorlton, Great Manchester, is thriving with a mix of businesses backed by an independent ethos and community spirit. Northampton has lost three major retailers in five years. What can be done to stop the "downward spiral"? (MENAFN - Gulf Times) 21 High st, described as an 'exquisite outdoor shopping destination, has opened at Katara the Cultural Village.Operated by Ali. THE Brit High Street crisis has been dealt its biggest blow yet – the closure of the largest number of shops in a year. Barkingside High Street has now reopened after a boy believed to be 10 years old was struck by a car. This week we have delved into our archives for scenes of days gone by in Marlow. A rise in crime and anti-social behaviour has left many locals too afraid to walk the streets at night in Swansea. AN elderly woman has suffered a 'serious head injury' after falling into a busy Stourbridge town centre road. They say the 'criminals have won' as they shut up shop for good, adding it's unsafe even to walk along the streets after 5pm. Boys aged 12 or 13 will be vaccinated against HPV for free from September, but an estimated two million teens will miss out. Emergency services were at the scene of the crash for a long time. A HIGH Street fashion chain worn by Kate Middleton is closing 15 stores across the UK. Young activists have once again taken to the streets to protest and draw attention to climate change. Pick up your laptop, pack your highlighters and grab a coffee at these top spots. 320 jobs will be lost across the country, including some in Leicestershire. A man who left his house “for about 15 minutes” returned to find he had been burgled. A MUM-of-three has turned her dreams into reality by launching her own yoga studio in Prescot. Pampered princess Emily swaps her lavish countryside lifestyle to live with struggling mum-of-two Kerrie in Rich Kids Go Skint. THREE people have been hospitalised after a 'disturbance' on Albion Street, in Glasgow's city centre. Marks is asking shareholders to stump up £600m in capital to fund the deal, and has said it will cut the dividend by a painful 40 per cent. Police are investigating a shooting in the area of High Street and Mount Vernon Avenue on Wednesday night. Business Moving To High Street, Opening Cafe - Medford, MA - The business will offer food, coffee and tea options when it reopens this spring. Former Vikings center Matt Birk, now living in Mendota Heights, and businessman Tom Bengtson are starting a Catholic high school in Burnsville, Minnesota. What's on local stages? Echo Theater Company's “The Wolves,” “Old Jews Telling Jokes” at the Colony Theatre, “Hairspray” at the Norris Theater and more. A MOTHER and her two sons were left shaken after her car was involved in a collision with a Land Rover which flipped onto its side in Lymington town centre. Norma Reed passed away 2019-04-19 in This is the full obituary story where you can express condolences and share memories. Epler's United Church of Christ, Bern Township, will sponsor an outdoor Easter Dawn *Service* Sunday at 6:30 a.m. at Blue Marsh Lake at the Dry Brooks area. After seeing St. Charles Catholic end its season in back-to-back years, Archbishop Hannan had enough. EASTON — It's one thing to live in farming country. It's quite another to find local produce, *fresh* brown eggs and locally sourced meats all in one place. Marshalltown Fire Department April 14 • The Marshalltown Fire Department responded to an unauthorized burning at 620 Union St., a smoke d.
This is a running list of Holy Week and Easter services in Maine.. Maine news, sports, politics, election results, and obituaries from the Bangor Daily News. Early Tuesday morning, authorities conducted a search at an address on High St. in Lockport. Antuna denied a murder charge Tuesday in Springfield District Court. Skipjack Nautical Wares & Marine Gallery in Olde Towne has provided furniture, artwork and ship artifacts for 15 years. D.O.R.S. Youth Transition Center, 1125 Judson Road, Suite 153, Longview, needs disinfecting wipes and paper towels. For information, call (903) 803-0100. FLUSHING — The Town and Country Outdoor Market at Sunni Rae's is slated to kick off its season starting May 1. Sunni Rae Scott, owner of Sunni Rae's, w.
Forward Hospitality Group, chef Jonathon Sawyer and Indians second baseman Jason Kipnis are joining forces for a venture in Columbus. HOLYOKE, Mass. (WWLP) - A man was taken to the hospital after he was stabbed in the High Street area late Tuesday afternoon. No arrest has been made. Investigations are underway into the cause of a major fire which badly damaged a Motueka building.